Why the Air Training Corps? It’s a fair question, but ask anyone who has taken part as a cadet, adult volunteer or parent and you’ll know how special the organisation is. It offers young people from all walks of life a chance to get active, learn new skills and make new friends in an inspirational and safe environment. All organisations need funding. We are luckier than most as the RAF and public funds provide the money for uniforms, premises, flying and several other activities. 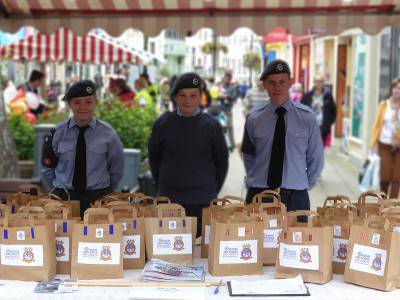 Each cadet provides a small subscription of approximately £13 a month, which goes towards funding the many activities that they undertake. National and international camps and expeditions may lead to extra costs – but we will always keep these to a minimum. We want the organisation to be available to everyone and staff are happy to discuss cost-related issues with parents at any time. The squadron must provide the rest of the required funding, primarily through the fundraising efforts of the Civilian Committee that each has. We’re always looking for parents who are keen to get involved with their squadron’s Committee or would like to become a volunteer!